Interview: Mark Harris, Author Of 'Five Came Back' A new book looks at how the military and Hollywood directors teamed up during the war. The films they made helped show Americans what was at stake, and served as evidence during the Nuremberg Trials. 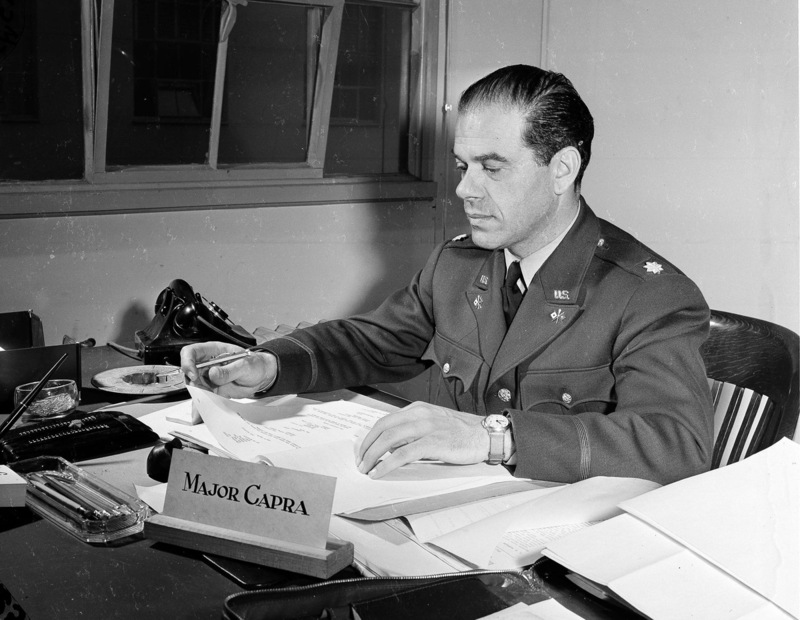 Maj. Frank Capra sits at his War Department desk in Washington on March 6, 1942. 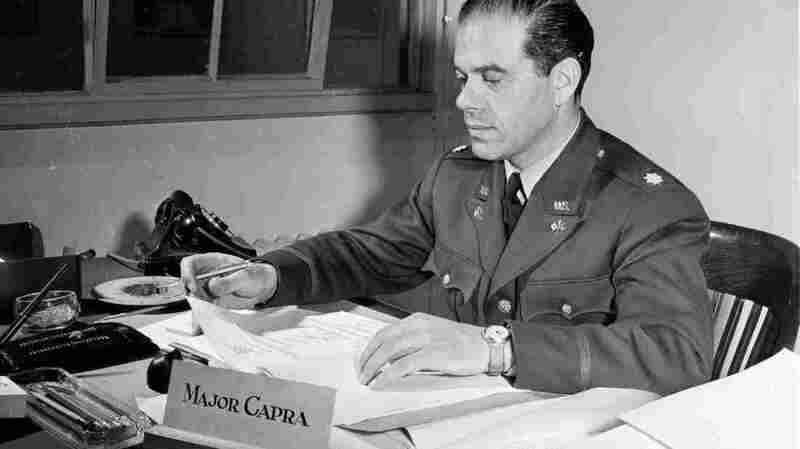 Capra's non-War Department films include It's A Wonderful Life and Mr. Smith Goes To Washington. When America entered World War II, some of Hollywood's most celebrated directors enlisted and risked their lives. But they weren't fighting — they were filming combat. Through the 1930s, Hollywood and the federal government held a mutual suspicion of each other. But after Pearl Harbor, the War Department asked Hollywood directors to make short documentaries that could be presented in theaters before the featured films. The ideas was to show Americans what was at stake, give them a glimpse of what our soldiers were going through and stir up patriotic feelings. Mark Harris has written a new book about this unusual and unprecedented relationship between the military and Hollywood. 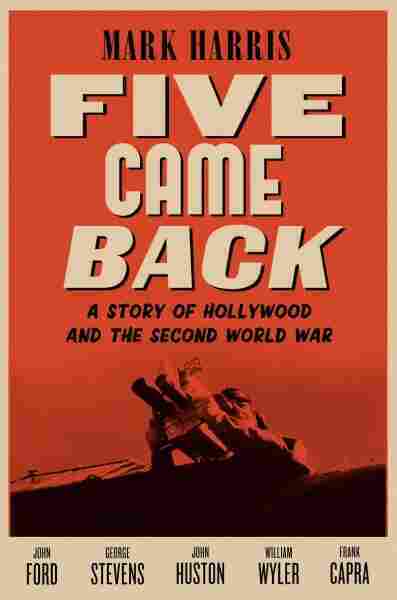 It's called Five Came Back: A Story Of Hollywood And The Second World War. Harris focuses on five directors who made movies for the War Department: John Ford, George Stevens, John Huston, William Wyler and Frank Capra. 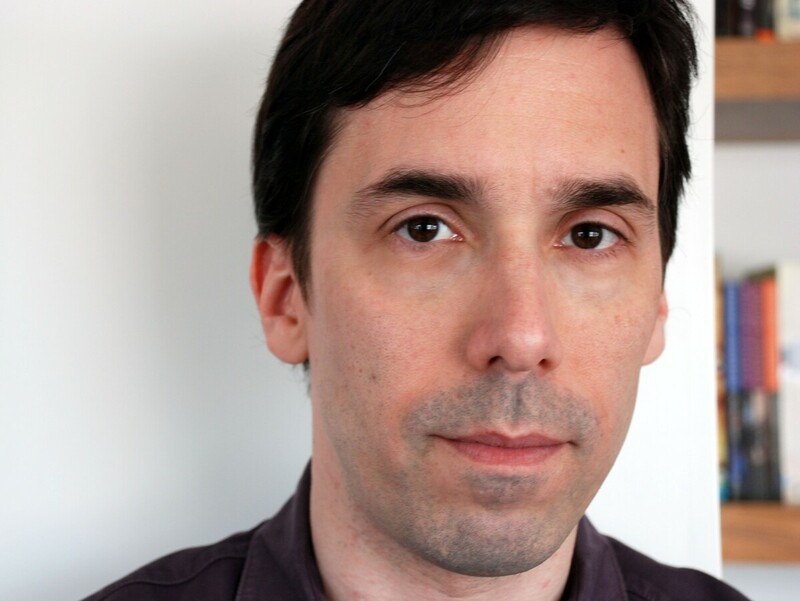 He tells Fresh Air's Terry Gross about the filmmakers' efforts to collect footage of D-Day, and their role in documenting the horrors of Nazi concentration camps. Part of Capra's idea to use Nazi propaganda films in the "Why We Fight" series was born out of necessity. There was almost no budget for these movies. He had something like $450,000 ... to make 50 movies. So he was really on a shoestring. Triumph Of The Will is pro-Nazi propaganda, pro-Hitler propaganda on a level of intensity that nobody in America had ever tried, because propaganda, even right after the war started, was still kind of a tainted word, whereas it was not in Germany. So Capra's brilliant idea was to take some of these movies — which shockingly were shown theatrically in German communities in New York in local movie theaters to pro-German audience — and turned them against their makers by showing just how dangerous and domineering these people could be. George Stevens (for the Army) and John Ford (for the Navy) were really the ones that came up with a concerted plan. ... It involved hundreds of cameras, hundreds of cameramen, dozens of cameras fixed to the front of landing vessels. What is ironic is that most of the footage that was shot at D-Day was destroyed. Many of the stationary cameras didn't function. The cameramen miraculously almost all survived, but a lot of their footage didn't. So there was no way to create a clear narrative, chronological structure of what happened at D-Day out of the footage. What there was was an extraordinary amount of raw footage that was then collected from every camera, and every cameraman, that hadn't malfunctioned. It was all sort of packed up, sent to England and edited, apparently, into several hours of continuous footage that was shown to the War Department back in the United States. Mark Harris' previous book is Pictures At A Revolution: Five Movies And The Birth Of The New Hollywood. He is also a columnist for Entertainment Weekly and Grantland. Most of the D-Day footage was not shown until much, much later. And really, you'd have to go forward to the movie Saving Private Ryan, the first part of which is a recreation of D-Day that is in part inspired by that never-seen footage. What Stevens filmed at Dachau was so painful that he didn't talk about it for decades afterwards. But what we think of now as some of the images of Holocaust atrocity that are burned into our collective consciousness — that's what Stevens saw: bodies in boxcars; starving, dying, skeletal people; bodies covered in snow; body parts; crematoria. The worst things that we know of what the Nazis did in the death camps and the concentration camps were news to Stevens and his men, and of course to America when he discovered them. Imagine walking into Dachau not knowing what a death camp was and seeing what he saw. So he did the only thing that he could do, which was to record it. At that point, he was no longer interested in making a documentary, what he was doing and what he knew he was doing from the first hour that he was there was gathering evidence. The defendants were forced to sit there and watch them, and many people feel that they were essentially turning points in the trial ... not in that these guys were ever going to be found innocent, but in bringing home just how horrible what they had done was. Famously, a couple of German lawyers for the defendants said that after seeing the footage that Stevens had compiled, they couldn't even stand to be in the same room with their own clients.